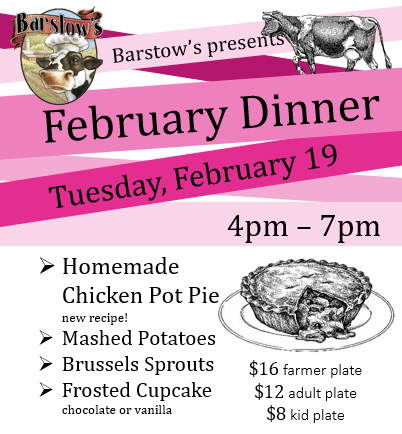 Join us at Barstow’s for our February Winter Dinner on Tuesday, February 19 between 4pm and 7pm! The menu will feature a new recipe for our homemade Chicken Pot Pie, mashed potatoes, and roasted Brussels sprouts. For dessert, your choice of chocolate or vanilla cupcake! As with all of Barstow’s special events, BYOB, please feel welcome to bring your own adult beverages. 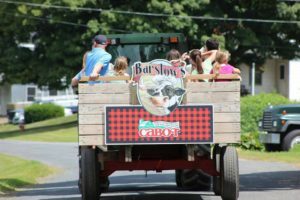 This event is family friendly and commuter friendly.